To date I have successfully photographed more than 250 species of birds normally found in Southern Africa. 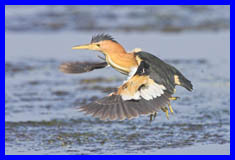 With a database of more than 2300 images, most of the birds can be viewed in different poses and activities, also identification between male, female, chicks and immature birds. Not all available images are displayed here. Image naming convention follows that from the Newman's Birds of Southern Africa (fully revised) and include the alternative and international names.